Sleek and geometric lines are epitomised across the Nova Collection. 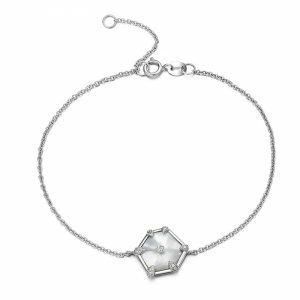 The beautiful asymmetry in this hexagon bracelet is perfect for that contemporary look. 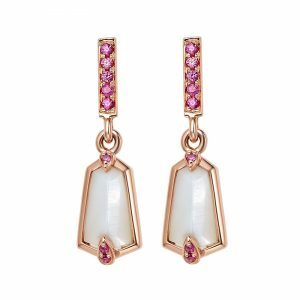 Set with the iridescent mother of pearl and available in 18ct white with diamonds, or 18ct rose gold with pink sapphires. Sleek and geometric lines are epitomised across the Nova Collection. 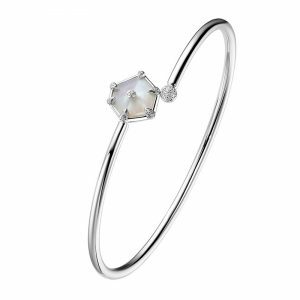 The beautiful asymmetry in this kite bangle is perfect for that contemporary look. 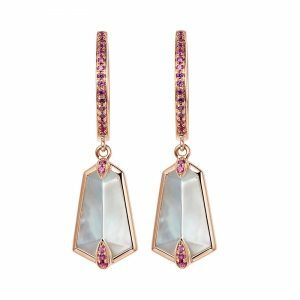 Set with the iridescent mother of pearl and available in 18ct white with diamonds, or 18ct rose gold with pink sapphires. Sleek and geometric lines are epitomised across the Nova Collection. 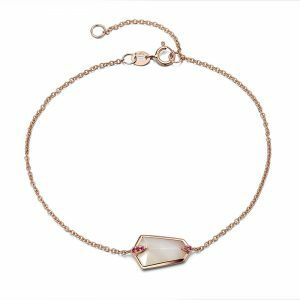 The beautiful asymmetry in this kite bracelet is perfect for that contemporary look. 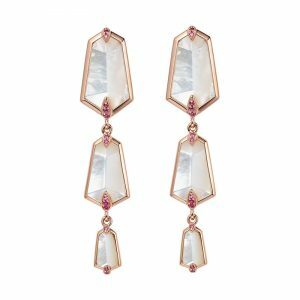 Set with the iridescent mother of pearl and available in 18ct white with diamonds, or 18ct rose gold with pink sapphires. Sleek and geometric lines are epitomised across the Nova Collection. The beautiful asymmetry in this small hexagon pendant is perfect for that contemporary look. Set with the iridescent mother of pearl and available in 18ct white with diamonds, or 18ct rose gold with pink sapphires. Sleek and geometric lines are epitomised across the Nova Collection. 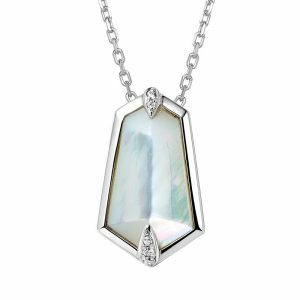 The beautiful asymmetry in this large kite pendant is perfect for that contemporary look. 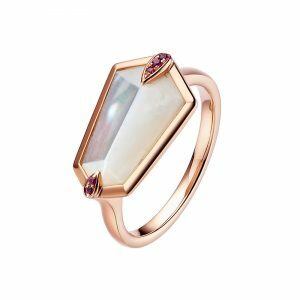 Set with the iridescent mother of pearl and available in 18ct white with diamonds, or 18ct rose gold with pink sapphires. Sleek and geometric lines are epitomised across the Nova Collection. 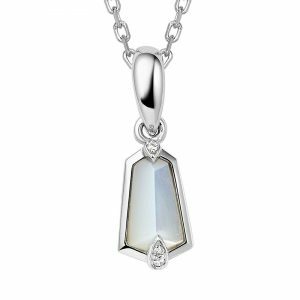 The beautiful asymmetry in this small kite pendant is perfect for that contemporary look. 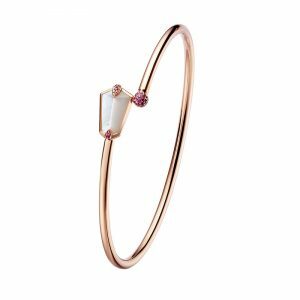 Set with the iridescent mother of pearl and available in 18ct white with diamonds, or 18ct rose gold with pink sapphires. Sleek and geometric lines are epitomised across the Nova Collection. The beautiful asymmetry in these medium kite hoop earrings are perfect for that contemporary look. 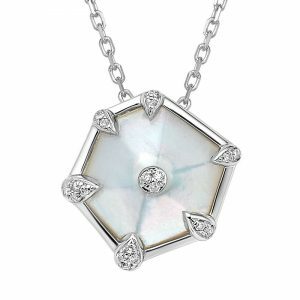 Set with the iridescent mother of pearl and available in 18ct white with diamonds, or 18ct rose gold with pink sapphires. Sleek and geometric lines are epitomised across the Nova Collection. 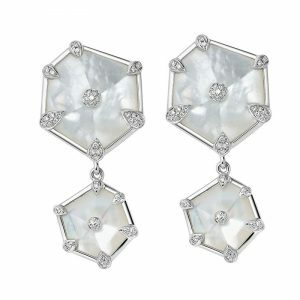 The beautiful asymmetry in these hexagon stud drop earrings are perfect for that contemporary look. Set with the iridescent mother of pearl and available in 18ct white with diamonds, or 18ct rose gold with pink sapphires. Sleek and geometric lines are epitomised across the Nova Collection. 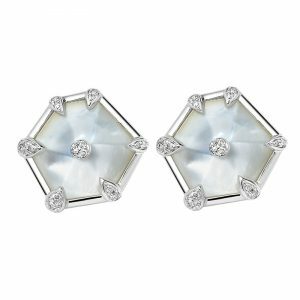 The beautiful asymmetry in these hexagon stud earrings are perfect for that contemporary look. Set with the iridescent mother of pearl and available in 18ct white with diamonds, or 18ct rose gold with pink sapphires. Sleek and geometric lines are epitomised across the Nova Collection. The beautiful asymmetry in these small kite stud drop earrings are perfect for that contemporary look. Set with the iridescent mother of pearl and available in 18ct white with diamonds, or 18ct rose gold with pink sapphires. Sleek and geometric lines are epitomised across the Nova Collection. 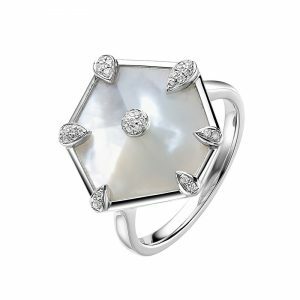 The beautiful asymmetry in this hexagon ring is perfect for that contemporary look. Set with the iridescent mother of pearl and available in 18ct white with diamonds, or 18ct rose gold with pink sapphires. Sleek and geometric lines are epitomised across the Nova Collection. The beautiful symmetry in this kite ring is perfect for that contemporary look. 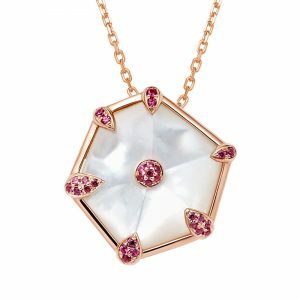 Set with the iridescent mother of pearl and available in 18ct white with diamonds, or 18ct rose gold with pink sapphires.